ISLAMABAD, Oct 17 (APP): The Pak-China Friendship car rally on Monday departed for Lahore after two-day cultural activities in federal capital. Khunjerab Pass. The rally comprising 20 cars with 52 people led by Mr. Lee will pass through Punjab, Sindh and Gwadar and then would go to Iran and from there to the United Arab Emirates (UAE). the rally participants were warmly welcomed. The Jeep association of Islamabad arranged a rally of participants’ to Pak-China Friendship Center followed by a cultural show at the same venue and then the rally visited to the Pakistan Monument. Corridor (CPEC) and Silk route passing through main cities. diplomatic ties. 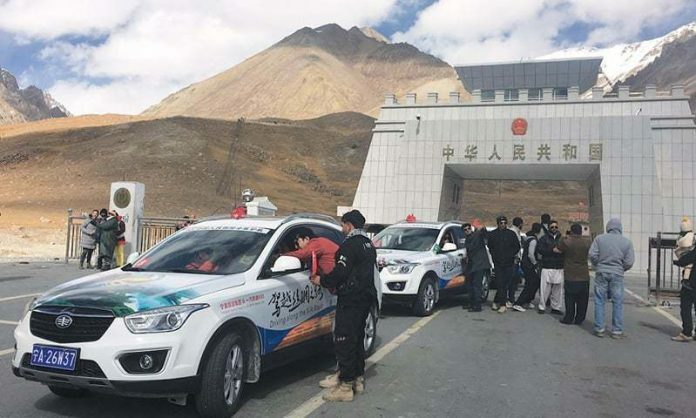 This car rally is titled “Walking in China-Pakistan friendship”. Ambassador of China Sun Weidong in his speech regarding car rally stated that “I would like to express my gratitude to the organizers and participants of this event”. km, all the way from Ningxia to here. You are real advocates of the great Silk Road Spirit! You are the envoys of China-Pakistan friendship! Thank you for bringing our peoples’ hearts closer together!”.